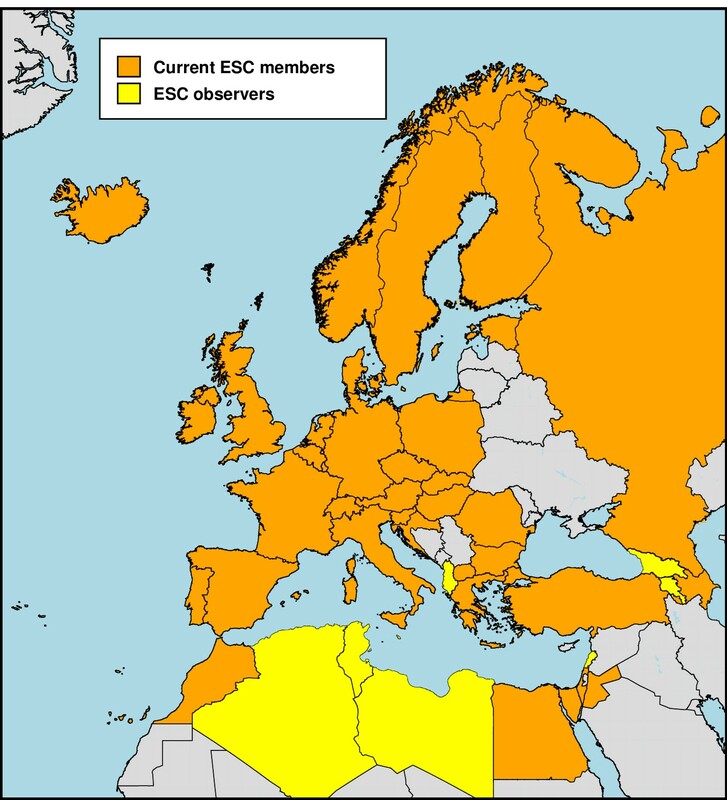 Membership in ESC is by country. Presently, there are a total of 34 member countries and ten observers. They are shown on the map above. Each member country has a Titular member who is responsible for voting, writing national reports and disseminating ESC information. The ESC was formally established in 1952, but there was a long history of European collaboration dating back to the beginning of the century.